George and Harriet Fulton lived in invention-driven times. 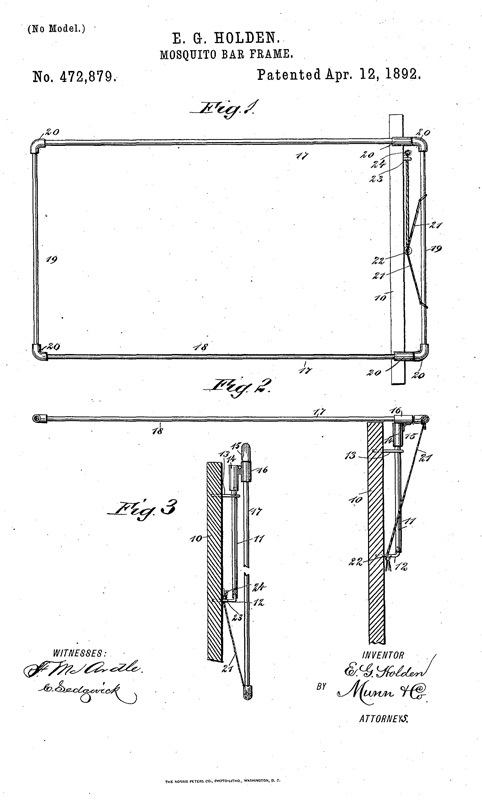 During the late Victorian period (1870–1910), the U.S. Patent and Trademark Office patented more than 900,000 new inventions. Fences dividing the frontier, buildings touching the clouds, railroads connecting country towns to large cities, people communicating over long distances by telephone rather than post — the Fultons lived during the invention of modern America. The Fulton family was especially interested in turning the Coastal Bend into an economically and technologically successful region of Texas. Moreover, they used their ingenuity in attempts to propel Rockport-Fulton onto national and even international stages. 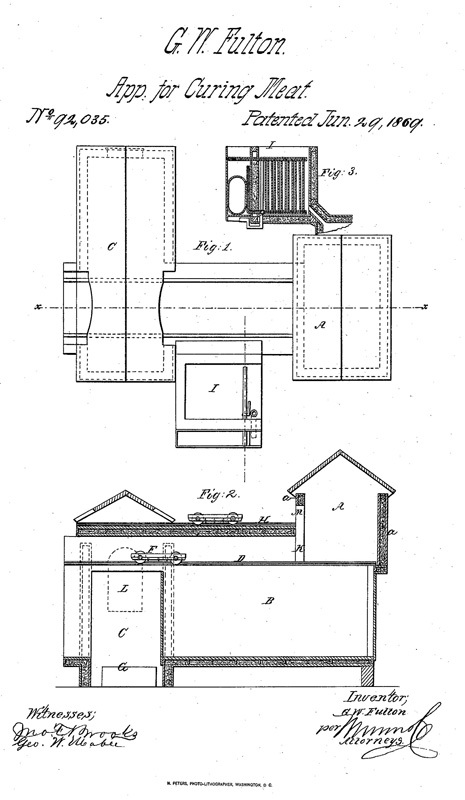 George Fulton, his son James and his son-in-law Elbridge Holden were active inventors and, between the three, laid claim to nine known patents. In the field of refrigeration, the work of these three men and Elbridge’s brother, Daniel Holden, resulted in the first refrigerated meat packery in the U.S., operated in Fulton, TX. The meat packeries in Fulton shipped meat products by steam ship up the east coast of the U.S. and even to parts of Europe. 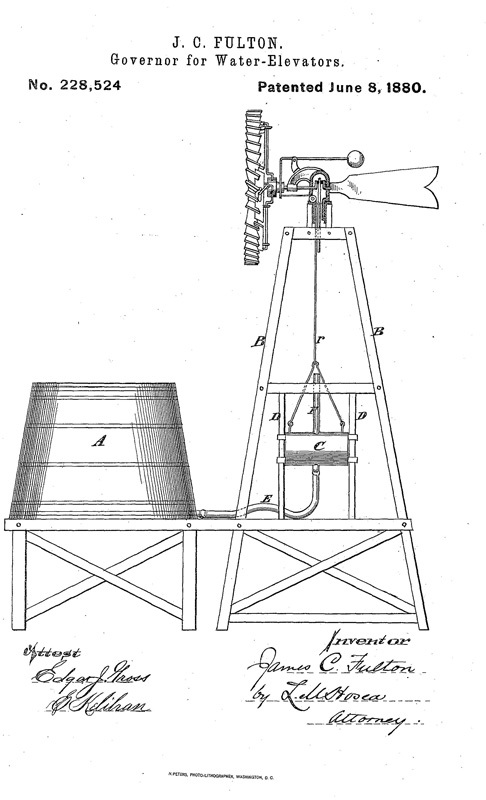 Overall, their inventions and improvements covered a wide variety of interests, from a retractable mosquito canopy to an improvement in windmills. Along with advances in agriculture, science, communication and industry, innovations also changed everyday life at home. Men and women all over the country found new ways to make chores easier, the body healthier and overall daily life more comfortable. When building their mansion, the Fultons equipped it with conveniences relatively unknown to their southeast Texas neighbors — central heating, gas lighting and indoor plumbing. Today, the Fulton Mansion is a monument of Victorian domestic innovation, a lasting tribute to the inventive spirit of George Ware Fulton.